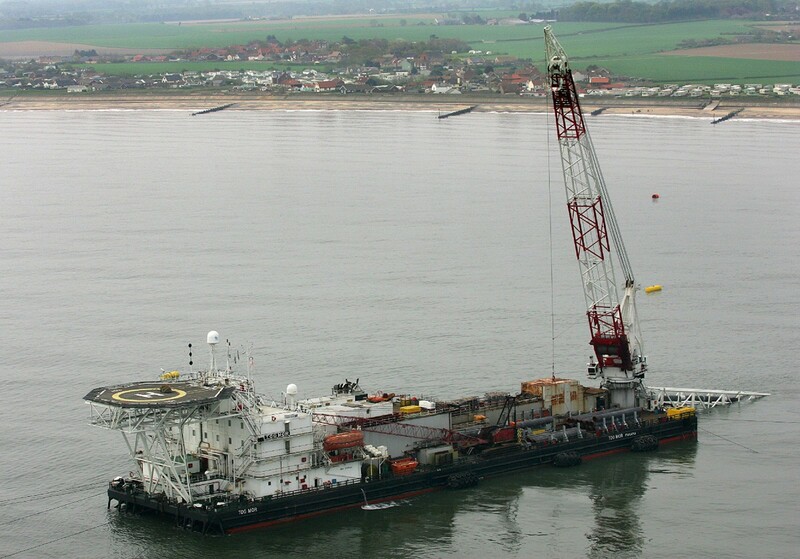 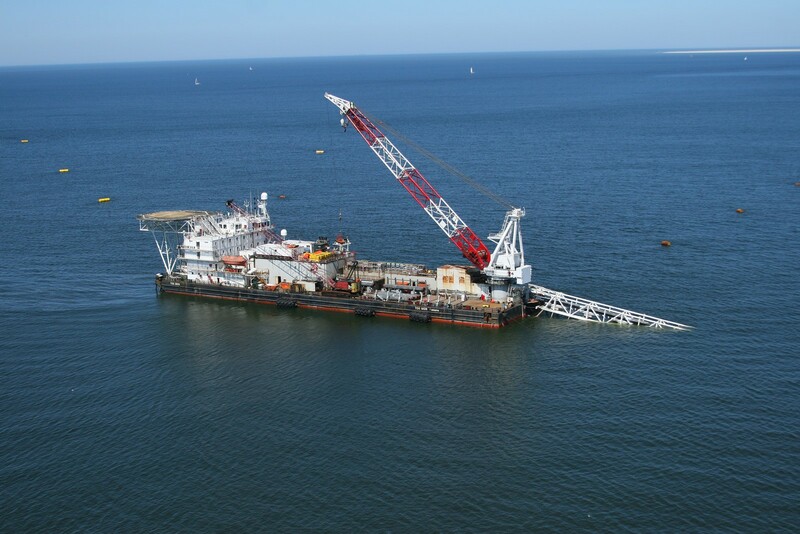 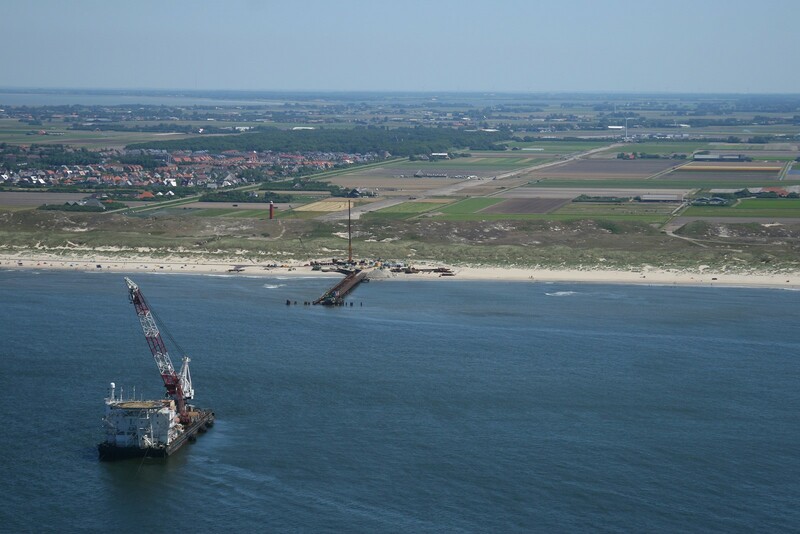 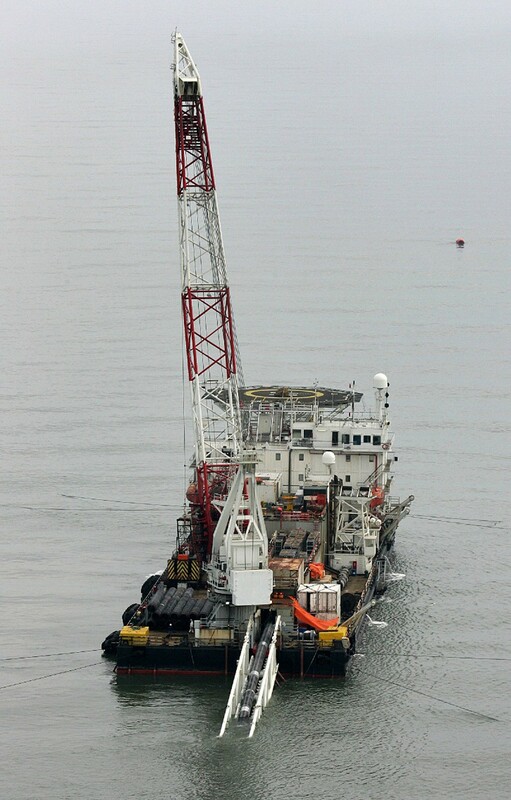 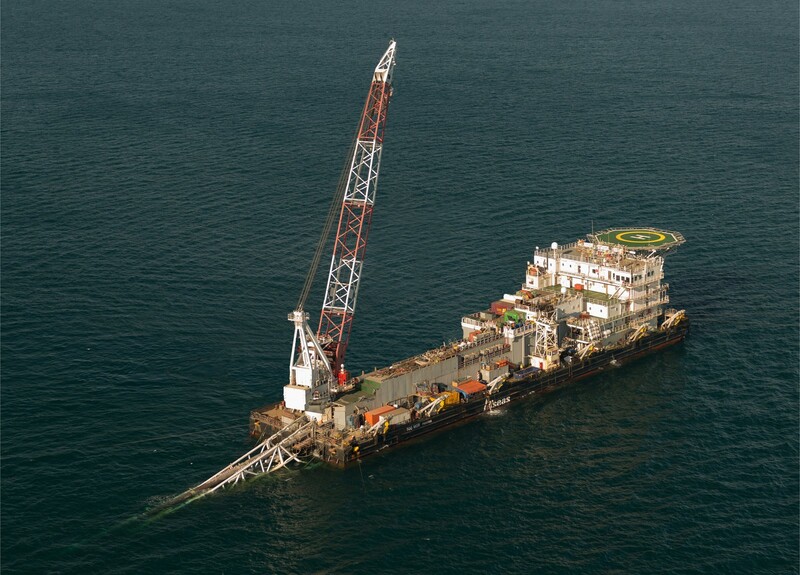 Tog Mor is a flat-bottom, anchored barge for shallow water offshore construction activities, purchased by Allseas in 1997 and converted for pipelaying in 2001/02. 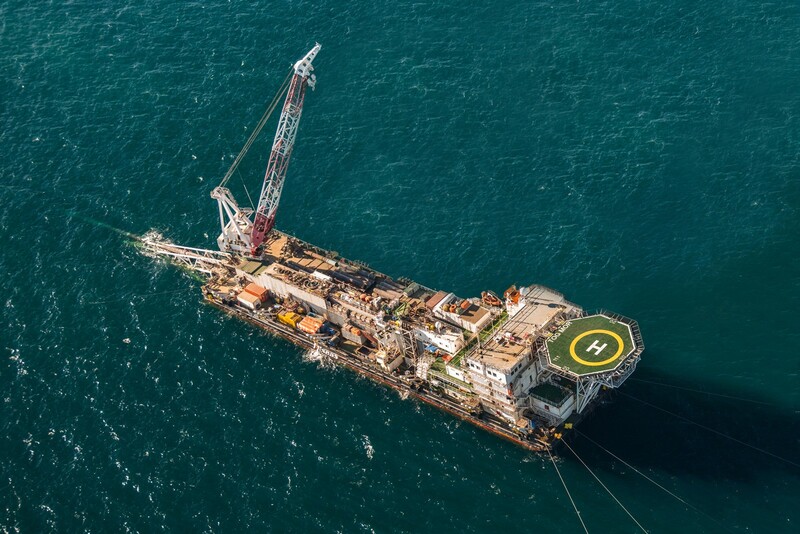 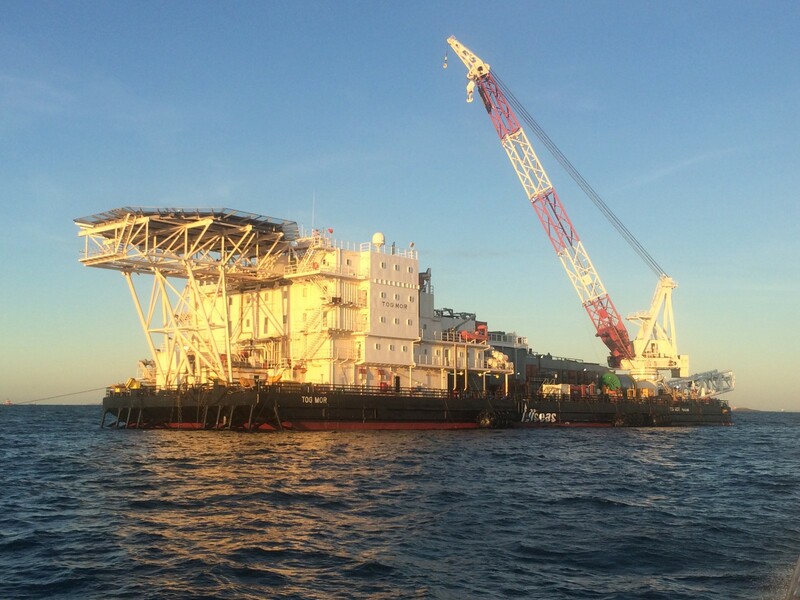 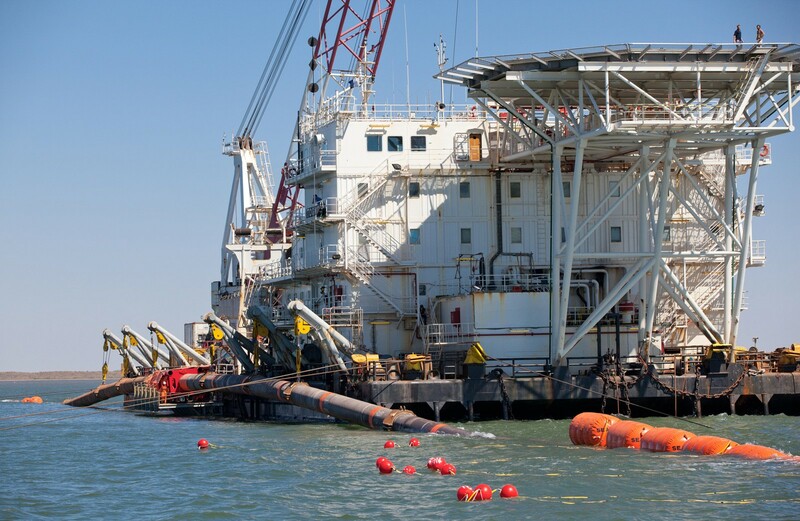 Tog Mor is equipped with a 10-point mooring system, pipelay equipment suitable for laying pipe up to of 60 inches in diameter and a piggyback firing line for 6.50 inch diameter pipe. 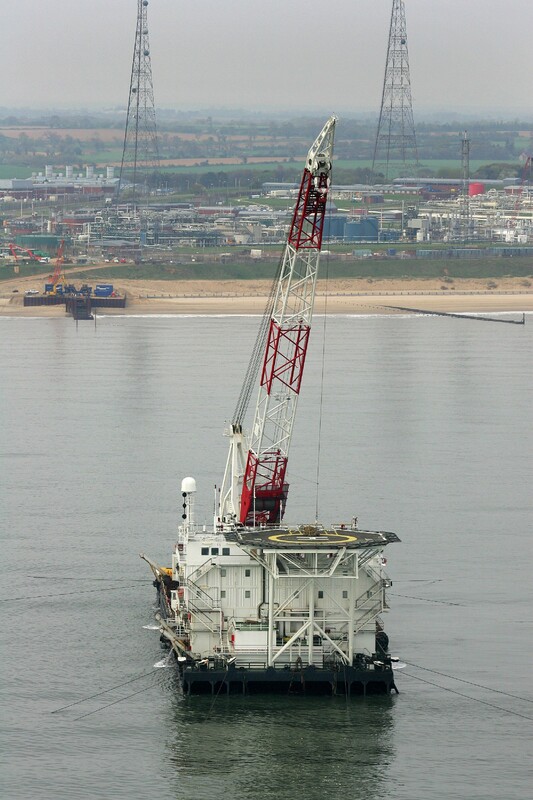 Tog Mor is also fitted with a davit system that enables her to perform midpoint tie-ins and a 300 t crane for construction work. 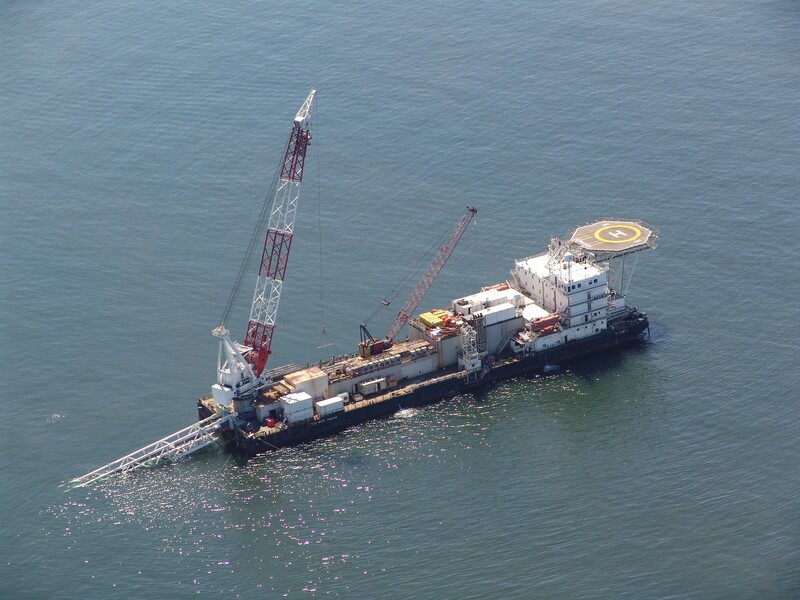 Tog Mor operates worldwide, primarily in shallow water areas, both in support of Allseas’ pipelayers and for independent contracting. 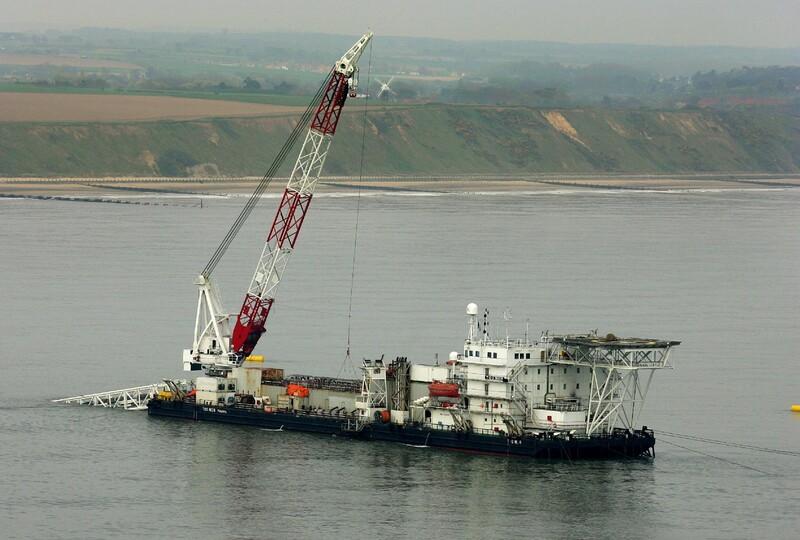 She can lay pipes up to a water depth of 150 m without modification; deeper water projects are possible with modification to her winches and stinger.